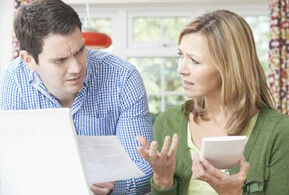 We sometimes hear from debtors who want to know if they can file their own Chapter 7 bankruptcy. While you are not required to have an attorney to file for Chapter 7, the process of completing even a Chapter 7 bankruptcy is extremely complicated. There is a large amount of paperwork that, if done incorrectly, could slow down or even dismiss your file. Our experienced bankruptcy attorneys can prepare your Chapter 7 bankruptcy paperwork and appear for you in front of the bankruptcy trustee. Another important reason you need a bankruptcy attorney is for pre-bankruptcy planning and asset management. While Chapter 7 bankruptcy is called “Liquidation Bankruptcy,” many of our clients’ keep most if not all of their property and assets. The bankruptcy code offers an exemption system that permits a debtor to protect certain types of property up to a maximum value. Our experienced Roswell Chapter 7 bankruptcy attorneys skillfully utilize this exemption system to provide the most extensive protection of our clients’ assets and net worth. While some assets will not be dischargeable, we can advise you regarding legal ways to convert non-exempt assets into exempt assets so that you protect more of your net worth. We also can analyze the timing of certain transactions to ensure that there are no conveyances subject to being reversed by the trustee because they are too close to your bankruptcy filing. If you have sufficient unsecured Chapter 7 debt that can be discharged, we analyze whether you qualify for Chapter 7 under the “means test.” The means test is a multi-stage analysis that first involves determining whether you income less certain IRS allowed expenses exceeds the median income for a family of your size in Georgia. Our experienced Roswell Chapter 7 bankruptcy attorneys can typically analyze whether you qualify for Chapter 7 under the means test when you come in for your initial consultation.